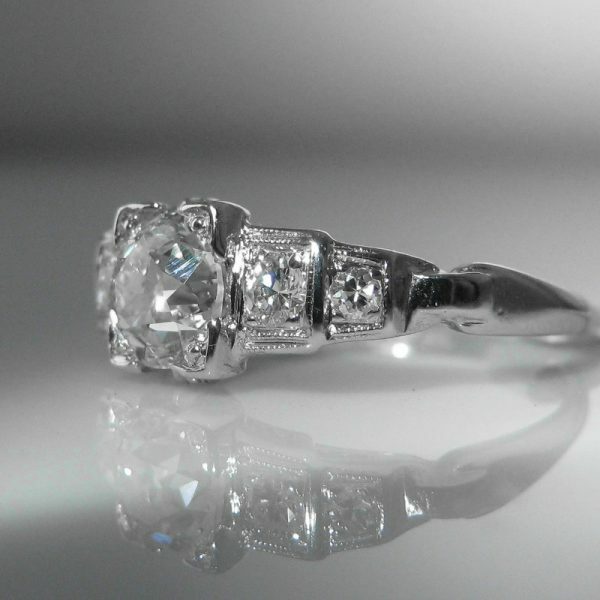 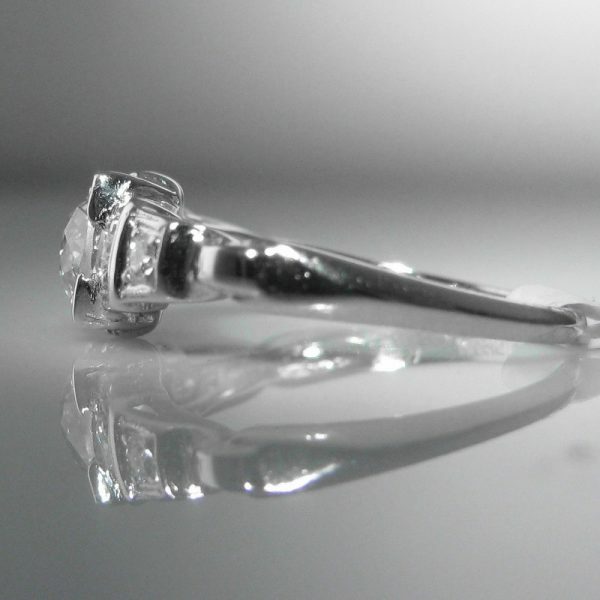 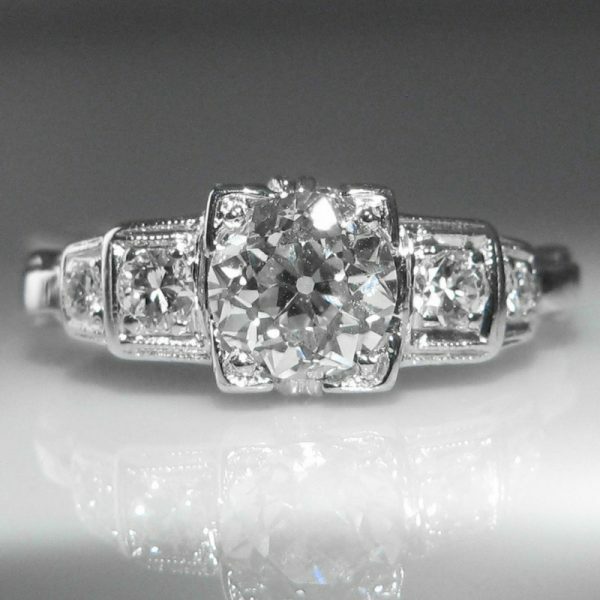 This beautiful Art Deco diamond ring is set in Platinum. 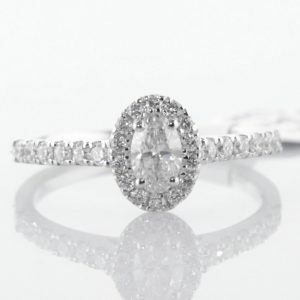 The ring features an old European cut diamond set in the distinctive Art Deco picture frame setting with complimenting diamonds set to each shoulder. 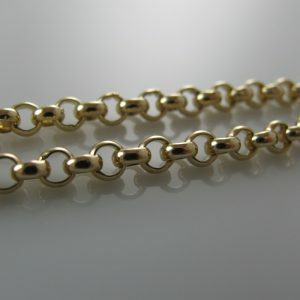 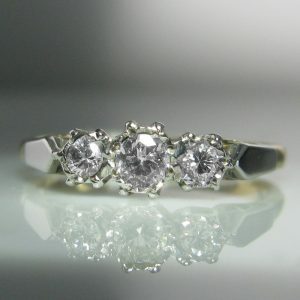 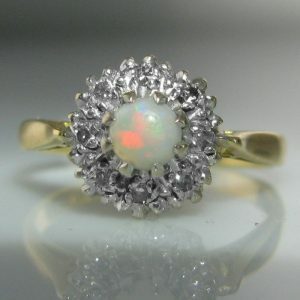 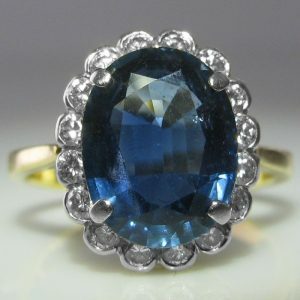 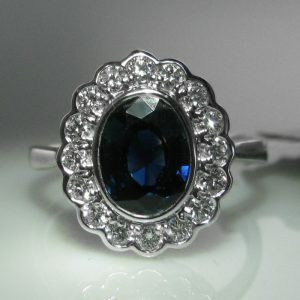 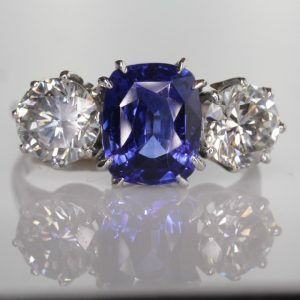 Ring Size: L (This ring can be re-sized up or down as required by you).